LAURA Taylor is a star on the rise. The 19-year-old captured hearts when she won silver in the 200m butterfly at the 2018 Commonwealth Games on the Gold Coast last April. Days later she snared gold at the Aussies Surf Life Saving Championships in Perth and the national age swimming titles in Sydney. She capped a golden year months later by receiving the Gold Coast Bulletin’s Sports Star Award. In remembering her parents’ sacrifice, which included waking up before daylight for several years so she could pursue her sporting dreams, Taylor said her family were her biggest supporters. “Dad actually nominated me (for the Gold Coast Sports Star Award),” she said. “He put in my nomination after my trials then updated it after I won silver at the Commonwealth Games. “My parents have always been so supportive with driving me to training and getting up at 5am because of the sports I chose to pursue. “It was really cool to be recognised for all the sports I’ve done. 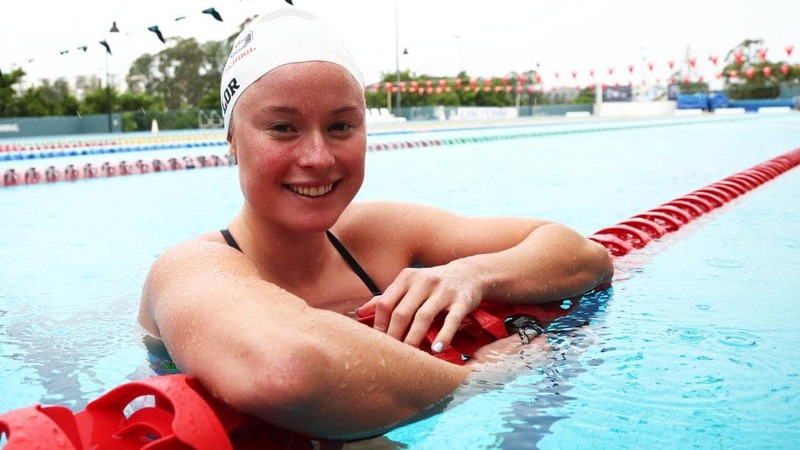 Taylor, a Bond University Georgina Hope Rinehart swimming excellence scholarship holder, is eyeing next year’s Olympic Games in Japan. “It’s definitely one of my big dreams to go to an Olympic Games but I wouldn’t stop there,” she said. We are looking for the next wave of sporting stars, with nominations now open for the 2019 Gold Coast Bulletin Local Sports Stars. Categories include the Junior Sports Star, Team of Excellence, Inspiration Award and Service to Sport. Nominees must be 18 years of age or under at the end of the nomination period except in relation to the Service to Sport category, for which the age of nominees is open. Nominations must be based on sporting activity carried out between September 1, 2018 and August 31, 2019.